Like Windows Explorer, Only Perfect! Have you recently switched to Windows 8, but can't stand the frilly new interface with all the bells & whistles? Why don't we make a deal - you get to use a file explorer that looks substantially similar to the Windows Explorer you've grown accustomed to, but in reality is a powerhouse of intuitive and effective file organization! Today we're offering both the Professional and Ultimate versions of xplorer²! See what you get with xplorer² Ultimate! Haven't you been putting up with Windows Explorer long enough? Do you want to move to a more powerful, flexible file management system? At first glance, xplorer² looks like familiar territory, with its tree view user interface that lets you see your files and folders. 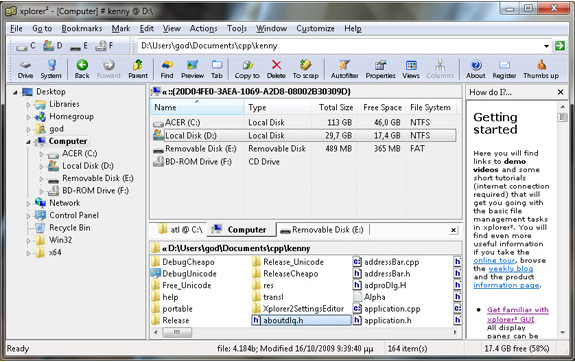 But then, you start using xplorer², and suddenly realize the power beneath your fingertips - browse multiple folders using tabs, invoke a dual pane view, assign frequently used folders to Favorites (even use bookmark panes), instantly jump to root directories, and maintain easily accessible folder groups. 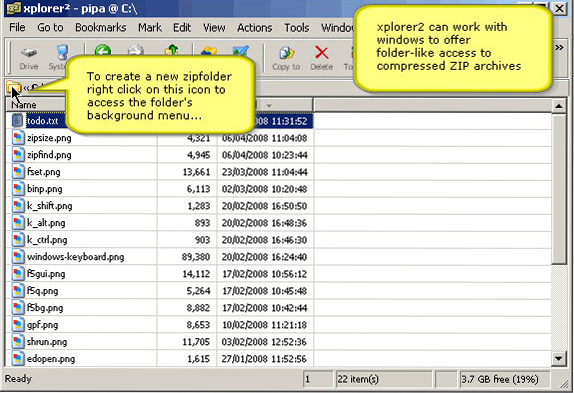 All of that stuff that was impossible to do with Windows Explorer becomes an everyday occurrence with xplorer²! Tired of opening file after file, looking for the right one? With xplorer²'s quick preview panel, you won't have to anymore! Looking for a specific file using search terms? 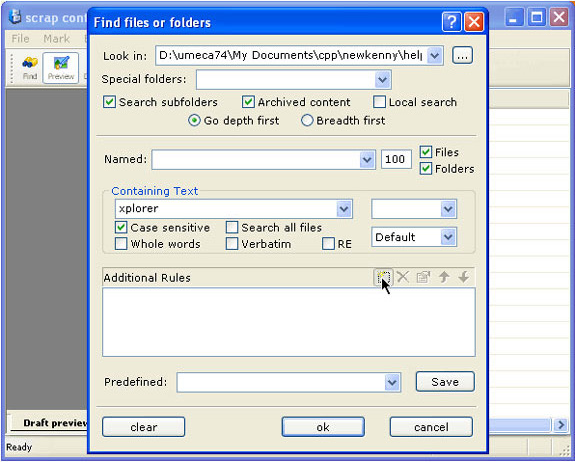 xplorer² has a powerhouse of a search utility, Omni-Finder, enabling fuzzy logic and text searches using file comments, picture data, attributes, keywords, and practically all shell column handlers that are supported by your Windows OS. These are only the highlights. xplorer² comes with a wealth of features, including advanced file management for large transfers, file comparison and synchronization, and direct execution of commands from the console! 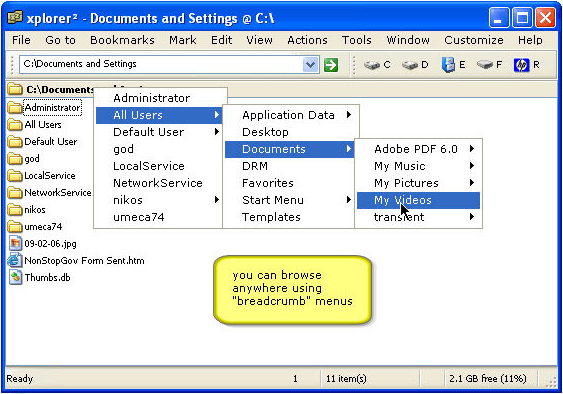 - LONG FILENAME SUPPORT: browse and manage documents in deep folders, e.g. paths longer than 260 (MAX_PATH) letters long. For more information click here: http://zabkat.com/blog/deep-path-world-record-34.htm. The application also features network responsiveness, faster folder statistics, searchable advanced settings, zoom and rotate images, touch scrolling works, easy folder background menu and group ID property. But that's not all! Check out the v3.4 change log for even more improvements! xplorer² does so much, we can't even begin to cover it all here. Spend a few minutes browsing through the enormous collection of xplorer² video demos for a comprehensive introduction. Manage your files and folders more efficiently than ever before. 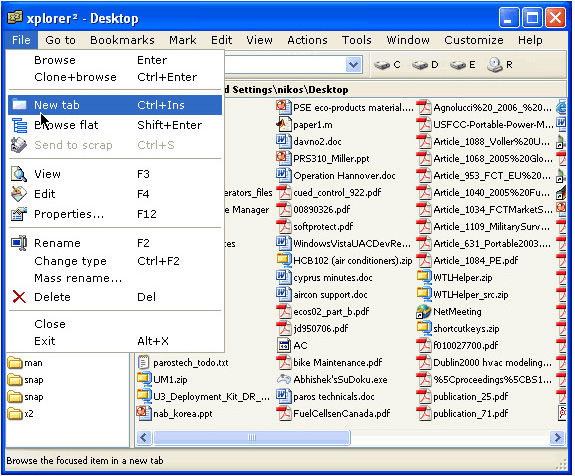 Browse multiple folders using tabs and a dual pane interface. Store and access frequently used folders as Favorites. Save folder groups for easy task-based access anytime. Robust deletion helps you to supercharge your permanent deletion tasks! Control what (if any) confirmations or errors you want to hear about, use filters to delete only certain files, queue deletions, pause deletions, and more! An integrated command finder makes it simple for novices and old hands alike to locate commands... fast! From clipboard to file: Dump your clipboard contents to a file, even if there are no files in the clipboard. Just hit the key and the clipboard will be instantly saved as a PNG file! Dockable, floating panes allow you to drag the tree and drop onto to any of the 4 corners of xplorer² window. 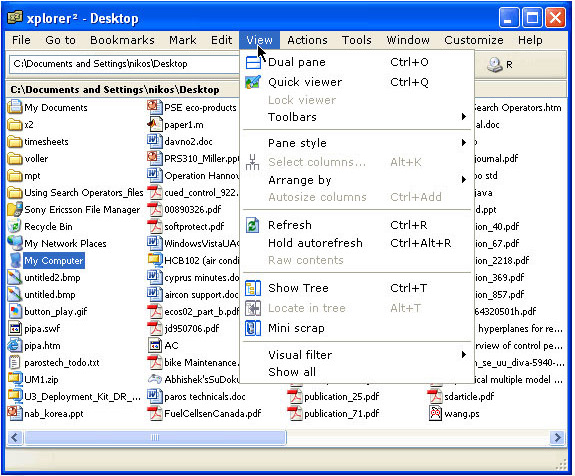 Dual bookmarks are similar to bookmarks but hold two folders, one for the left (top) and one for the right (bottom) side panes. Tab locking: Locked tabs stay put and any browsing in them results in the opening of a new tab. The shell context menu now includes a custom xplorer² submenu where you can add any menu command to suit your needs. Details Pane (an infobar on steroids! ): The details pane (which can be turned on or off) displays extended, type-specific information and a thumbnail for the selected item. For example, 'dimensions' when you click on a JPEG, or 'duration' when you click on an MP3! Tag management: Add/remove tags to many files at once. 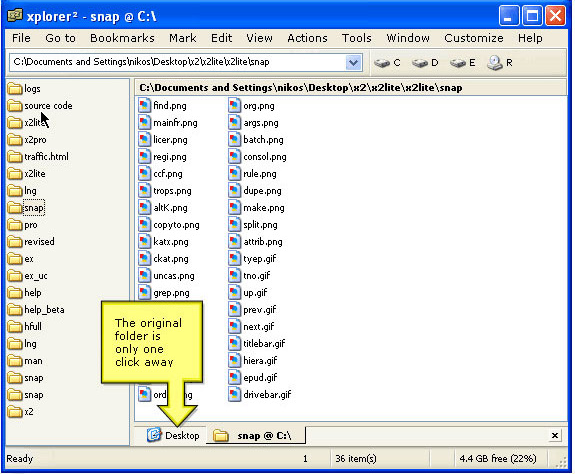 Select multiple items, press , and set the computer tag to all of them by ticking 'append tag' in the dialog. All existing tags are preserved! Use regular expressions in text search rules and for matching filenames. Set the fuzziness indicator in the search dialog to 0 to activate the regexp mode for filenames. After you purchase xplorer² version 3.4! it may be used indefinitely. xplorer² version 3.4! 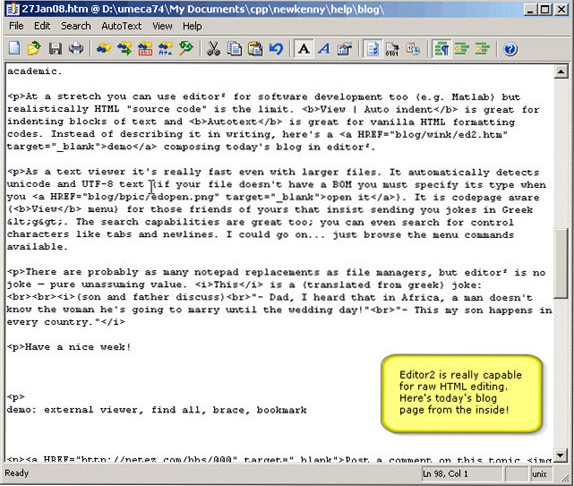 is licensed per user, so if more people are going to use xplorer² version 3.4! you will need to purchase additional copies. Each license allows installation on all owned computers, but xplorer² version 3.4! may not be used at exactly the same time on each of them. _*_ When I purchased here on Bits (12/14/2016), I also purchased the Pro Upgrade Assurance. That means I have upgrades for life correct? Daniel Hi, I purchased from a previous Bits du Jour promotion the Ultimate version. Can I use the current promotion to purchase the Ultimate free lifetime upgrades warranty for 50% off ($35)? Benjamin User Hello, is it possible to buy the lifetime upgrade at discounted price for student ? I can use my school webmail and informations to confirm my statut. If it's not possible It's ok. I'll understand. Thanks for you nice offer anyway! Jonathan Plutchok This is my all-time favorite file manager (replacement for Windows Explorer), and I have tried many. 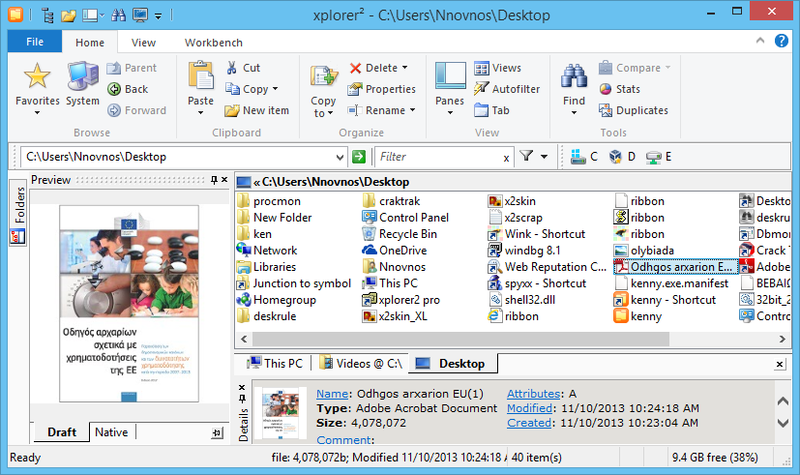 xplorer2 does everything Windows Explorer does, only better -- and much, much more. I can't live without it, and recommend it highly to everyone I know. Benjamin User Hello, I've bought your program Xplorer2 Ultimate, and I would like to buy deskrules at discounted price. Would it be possible to get a cheap version of this program? As I mentionned in the email I sent you. I'm just a student. I have filelocator pro, but it seems your program is better. I've got the lite version but I'd prefer the full version. Could you please offer me a nice discount like $15 - maxi$20 ? Thank you very much. NorkDorf Really want to get the lifetime upgrade, how come it's not discounted too? Benjamin User Robert Horbury-Smith@ This is normal because the discount is only available on BitsDuJour, but you cool just copy BitsDuJour discount and use it on their website, it may also work. Clicking on the GET THIS DEAL button will do the job. Robert Horbury-Smith Thanks Benjamin but I did click on the "Get This Deal" link - it took me to the store where the full price for both versions is displayed. Benjamin User Sam@ It's the usual marketing process, sell your product at discounted price to get more customer that will pay for upgrade. They have no diret financial interest in selling lifetime upgrade at discounted price. Otherwise you'd already see it available as it's the case for some other software. In other words, this is intentional. No hard feelings, they have the right to do this, and if you think their product is worth the price, You'll no doubts jump on the discount, and either pay for upgrade or wait for additionnal discount price for every future upgrade. P.S : this link was for xPlorer2 Ultimate. If you want to buy the pro version for $14,97; li'll send you the other link. Robert Horbury-Smith Benjamin@ - The http://sites.fastspring.c...ign=100001 link displays the price (Ultimate) at $US49.95. Jeffrey Taylor I currently have xplorer2 lite 3.4.0.3 (32-bit) installed in Windows 7. If I buy the Pro edition, will I be able to download and install both 32 and 64 bit versions, or only one? If I buy the Ultimate edition, will I be able to download and install both 32 and 64 bit versions, or only one? Can I upgrade the currently installed 32-bit free edition to either an Ultimate or Pro version using the installers for this offer? Can I install a 64 bit version of xplorer2 without uninstalling the 32-bit version? _*_ what is the cost to move from Pro to Ultimate? Also, what is the cost to go from Pro to Ultimate Lifetime Upgrades? I currently own Pro with Lifetime upgrades. the deal appears to be working for most people so please try again using a different browser and you should see the discount? Benjamin User Hello Nikos, I sent you an email, I get the following message when I try to buy Deskrule : This unlock key (reference X2UL.#######) does not exist in the xplorer² customer database. Robert Horbury-Smith Thanks Nikos. Discount worked with Opera - fails with Firefox. Now ordered. Benjamin User Robet Horbury-Smith@ Great to hear that! Do you intend to buy Deskrule ? If you do, can you tell me if your license works on the discount page ? By the way, which version did you buy ? Pro or Ultimate ? Robert Horbury-Smith Already bought Ultimate version @Benjamin, but with all the distractions I didn't get to look at Deskrule (sorry). BTW - thanks for your help - appreciate it. Benjamin User Robert Horbury-Smith@ You're welcome! jaco kotze@ There is no mention about how many computers you can register with one license but when you want to buy the product, you can add more licenses so I expect it's 1 PC = 1 License (Not sure about the session), but I'm not certain about it. Let's wait for the vendors' reply. jaco kotze Many thanks for prompt response. Vendor Website refers to volume licensing, but on today's deal, they are silent pertaining 1 x pc= 1 x license. Nowadays most developers allow at least 3 x PCs per 1 x license. Will wait for the response from Vendor. Benjamin User jaco kotze@ you're welcome. nikos bozinis@ If I buy deskrule at 25% discount of 39,95 it will cost me about $29,97. However, I found the app for just 21€ on the Microsoft store. Is it the lite version or the Normal version ? Benjamin User @nikos bozinis If I buy deskrule at 25% discount of 39,95 it will cost me about $29,97. However, I found the app for just 21€ on the Microsoft store. Is it the lite version or the Normal version ? Jeffrey Taylor @nikos bozinis Would you please answer the questions I posted about 9 hours ago, which were assigned address http://www.bitsdujour.com...tId=132582 ? jaco kotze Thanks, Nikos Bozinis.Uncertainty cleared up, pertaining usage of the license key. Benjamin User Nikos, I've paid the app, Thanks for the discount. You rules! Dana User I see the Ultimate version is on sale for $24.97. If I want to add lifetime upgrades then the price doesn't go up by $10, it goes up by $34.98 to $59.95. Is this a mistake and/or how can I buy Ultimate along with lifetime at just $10 extra like normal. Can you get this fixed so I can purchase the licenses? Keyboard Cowboy I finally got it to work..........bought only one license as you said above it could be used on more that one computer as long as it's the same user. That's exactly my case (main computer and laptop). Samir Desai Nikos, Thanks for your quick reply. does Xplorer2 synchronize sub-folders (and files within the sub-folders)? if yes, how many levels of sub-folders? I want to make sure that when I synchronize, Xplorer2 can "work through" more than 1 level of sub-folders to copy or sync. Also, can it copy locked and hidden files (such as OS boot files)? Can it literally clone a hard drive? If yes, what are the restrictions in doing so? i.e. source and destination need to be same size or types of drives? What are the main differences between the Pro and Ultimate versions? nikos bozinis @Samir, if you copy files like I said using "overwrite if newer else skip" copy option, then it will "synchronize" all levels down. Think that it is doing a copy but selective. As for system and other files, if xplorer2 can read them, it will copy them. You can try it yourself and see. Samir Desai Nikos, I want to purchase XPlorer2, but your offer expired! Can you help? Find What You're Looking For and Get Rid Of It... Quick!